I haven't blogged since February??? Oh boy, grab a cup of coffee, this may take awhile... but I promise pretty pictures along the way. I'll keep it chronological and full of highlights. This should have been 7 or 8 blog posts. For spring break I headed back to the familiar land of Leadville. I am still completely charmed by this town. It was so nice to walk in to the coffee shop, chat with old friends and see some familiar faces around town. While I did have a looming finance project, there was still time to get out and snowboard and snowmobile a wee bit. Sally even invited me up to Copper Mountain to get buried in a snow cave so the avalanche dog she works with could find me. Getting found by a cute golden retriever face is not a bad way to spend a Tuesday morning. Happy Dog who loves snowmobile trips! So that was spring break. After an all too short week (but wishing the whole time we could just get on with the semester), I headed back to Fort Collins to finish up the last 8 weeks of the second of three semesters for my MBA. I've always known I'm a multi-tasker and enjoy switching gears to keep my brain fresh. Classes have been a grind for me this semester, statistics in excel is just not doing it. So I began looking for additional opportunities to build my skill set...but mostly have some fun while I'm here. My MBA team and I decided a few months ago that we will be staying in the United States for the summer. Other teams are headed to Bolivia, Mongolia, Kenya, and Guatemala, can't wait to follow them! Since we ditched our initial venture in Brazil, we'd been evaluating our strengths and opportunities and came up with a pretty cool summer endeavor. What I REALLY wanted to say (unrelated to the school stuff) is that I was recently hired as the outreach coordinator for the Shortgrass Steppe Research and Interpretation Center at CSU. View from the research station. What a cool place! You all will be hearing much more about it. Big sky, amazing eco-system, and as a secondary self-assigned task, I'm learning about a whole new world. Baby rattle snakes and burrowing owls? Yes please! The director of the center does research on prairie dogs. Now, I have friends who ranch and my mother has waged a war on ground rodents on a scale comparable to Caddyshack. It's been interesting and more than a little ironic to learn about and appreciate the ins and outs of prairie dog towns. My office is in a lab where they do research on the black plague as it relates to p. dog towns. That's right, p. dogs get the plague, clear out and start-up a few years later. 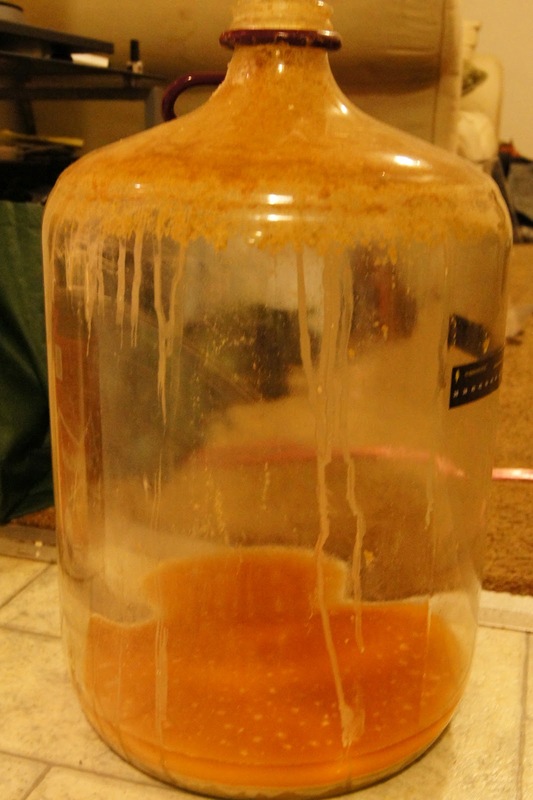 I've already improved upon this method, carboys get HEAVY quick. Right after transferring to the fermenter. 14-days later, we're ready to bottle! The sanitation station. Surgical conditions right here. Bottle/carboy cleaner. Best. Tool. Ever. 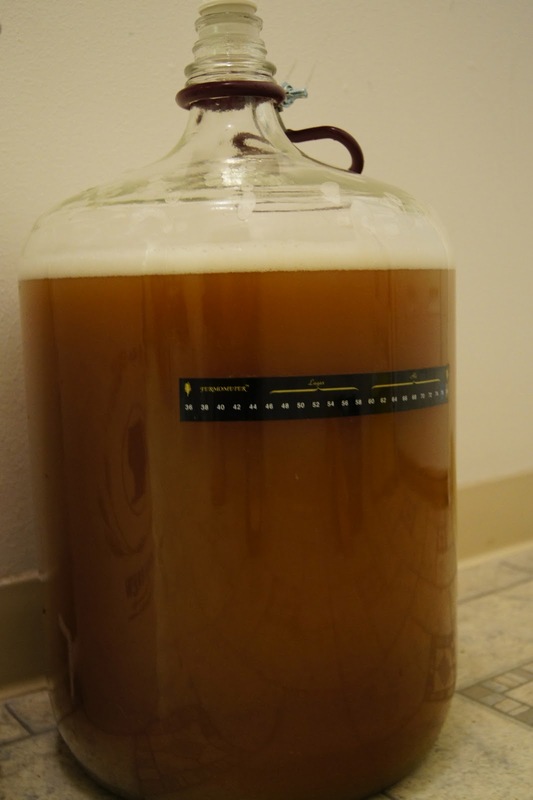 This is what fermented beer looks like before bottling. Don't worry, we avoided including the crud (trub) in the bottom. 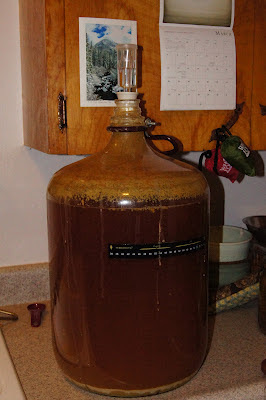 And now we wait, 14 or more days. Clean-up is not the best part. So while Fort Collins did not immediately win my heart, what with the big box stores, copious amount of vehicles, and the staggering number of people between 18 and 21 years old, it IS growing on me. Spent some time last night at a great bar with great music, part of the FoCo MX 2012 music celebration. Saw the group Highway 287 and am looking forward to a summer of music and brewing. PHEW! If you got to this point in the post, congrats. You are now just as up to speed on my life as I am.